Welcome to the website of the review DADA Rivista di Antropologia post-globale, a biannual publication with special issues. We mainly publish research papers (and review papers) in full text on scientific and academic issues in the field of anthropology, ethnology, sociology, politology, economy, philosophy as well as current topics in cultural and social affairs. The primary target groups are researchers. 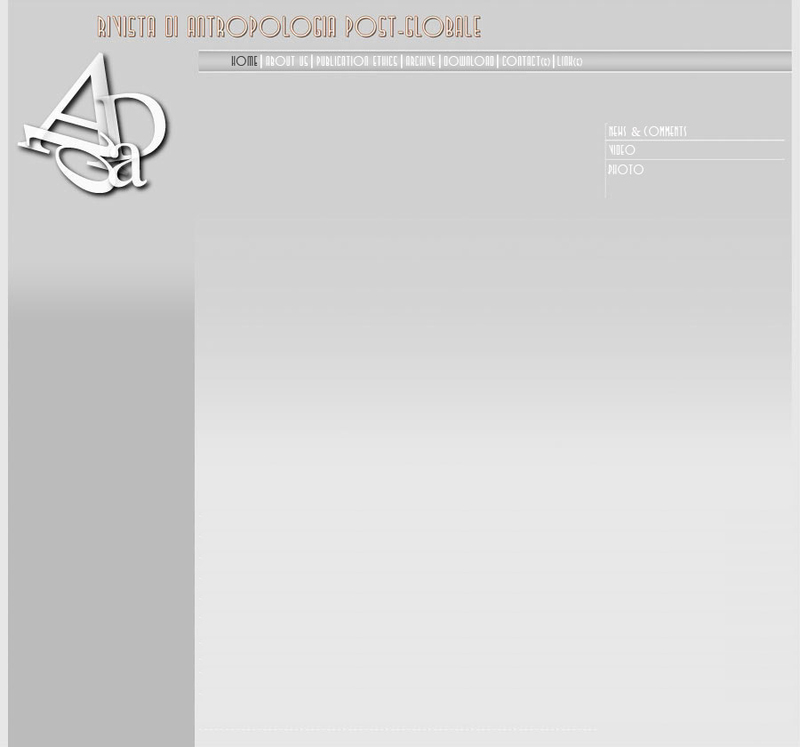 DADA Rivista di Antropologia post-globale is an international review. The contributions are submitted to double-blind peer review quality control. The authors can publish in the main languages of the international community. DADA Rivista di Antropologia post-globale is an open access journal: it does not charge readers or their institutions for access, it does not charge authors for the submission and publications of their contributions, and the reviewers co-operate on a voluntary basis. All users have the right to “read, download, copy, distribute, print, search, or link to the full texts of these articles” but the acknowledgement and quotation of authors and papers are mandatory: DADA allows third parties to download its works as long as it is credited as the source, but these articles cannot be changed in any way or used commercially (CC BY-NC-ND). All researchers and young scholars are welcome. “Antropologia del cibo” (the deadline for submitting the contributions is May 30, 2019).